The Office of Inclusion, Diversity and Equity supports the college’s belief that diversity in all aspects of the educational environment is necessary for achieving the highest level of academic excellence. Members of an educational community rich in varying perspectives, outlooks and values will be better prepared to deal with complexity and to participate productively in a pluralistic society. 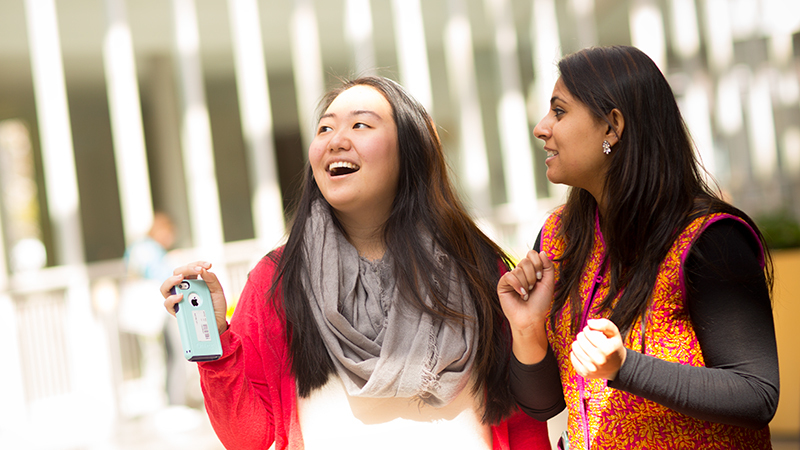 Multicultural Affairs works to promote an understanding of diversity and to develop a strong community among students of color. Disability Services is a central point of information and coordination for students, faculty, staff and visitors with disabilities. The Resource Center for Sexuality & Gender provides educational programming and activities for students, faculty and staff. Launched in 2016, Pathways is a comprehensive campus survey to assess Smith’s campus climate. Amy Hunter, acting director of inclusion, diversity and equity, institutional equity officer and Title IX coordinator, is responsible for coordinating Smith’s compliance under federal and state civil rights laws and regulations related to education, employment and public accommodations. She manages the college’s response to reports and complaints of discrimination, including mediations, investigations, findings and recommendations, and provides campus-wide training and outreach aimed at compliance and prevention for employees and students. Prior to coming to Smith, Hunter was interim director of human resources at Hampshire College, was an attorney in private practice focused on school law, and was a senior attorney at the Office for Civil Rights at the U.S. Department of Education for the bulk of her legal career. L'Tanya Richmond, the dean of multicultural affairs is devoted to programs and policies that maximize student opportunities for personal development and academic excellence. Responsible for the strategic leadership, vision and management of multicultural affairs, Richmond endeavors to implement and manage the diversity goals of the college, especially as they relate to the co-curricular education of undergraduate students of color. A passionate educator, mentor and champion of student retention and success, Richmond brings over two decades of experience in higher education. During her tenure at Elon University, the institution was named in the Kaplan Daystar as one of the top 100 schools in the nation for African Americans and was recognized by the Education Trust for graduation rates that are among the best in the nation for African American students. Richmond is a graduate of Duke University and Elon University. Whitley Hadley, the assistant director of multicultural affairs, finds joy in cultivating inclusive, affirming, fun, and intellectually enriching spaces with students. She comes to Smith with a background in student affairs, with specific experience in cultural identity and leadership development. Whitley oversees the Mwangi Cultural Center, advises the Unity Presidents' Council, and invests in collaborative diversity programs and initiatives. She is invested in personal connection, and welcomes students on a walk-in basis and daily by appointment. Whitley's office hours are Tuesday, Wednesday and Thursday from 3:30 to 4:30 p.m. in the Mwangi Cultural Center. Smith College fosters free access to knowledge, its unfettered discovery and communication through research and education, and the creation and sustenance of a community of scholars, students and staff. The Smith community can realize these goals only in an atmosphere of trust and respect. The college aspires to create and maintain an educational, working and living environment that is respectful of differences and free from harassing behavior. 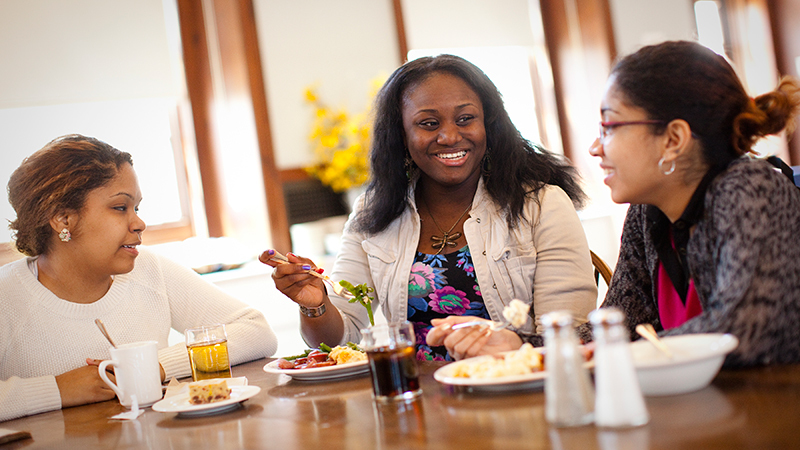 To foster trust and respect in a diverse community, Smith College encourages community members to behave in ways that affirm respect for each other. Within an academic institution, teaching, research and learning are subject to the protections described in the college's policy on academic freedom. Actions or words used in the context of the academic curriculum and teaching environments that serve legitimate and reasonable educational purposes will not be evaluated as violating policies that bar certain behaviors, sexual harassment or unlawful discrimination. In a diverse community, disagreements and conflicts, with varying degrees of seriousness, are inevitable. The college strongly encourages informal resolution of disputes and conflicts. Many issues are best resolved by direct communication between the individuals involved, sometimes with the help of a third party. Community members are expected to engage in good faith attempts to mediate their differences. To that end, all members of the Smith community are encouraged to use the deans, academic department chairs, supervisors and the staff members listed on this site to discuss concerns and seek resolution to differences.